Peaceful, but so much to watch! Lewis Bay has the warmest water on Cape Cod. It has the same footprint as the original cottage colony, completely rebuilt in 2002 and totally updated 2014. Common deck with teak tables and chairs, lounges and 2 large gas grills. Walk ,bicycle, kayak, paddle board or surf ( storage at unit) or sip coffee or a libation on your private deck or common deck. 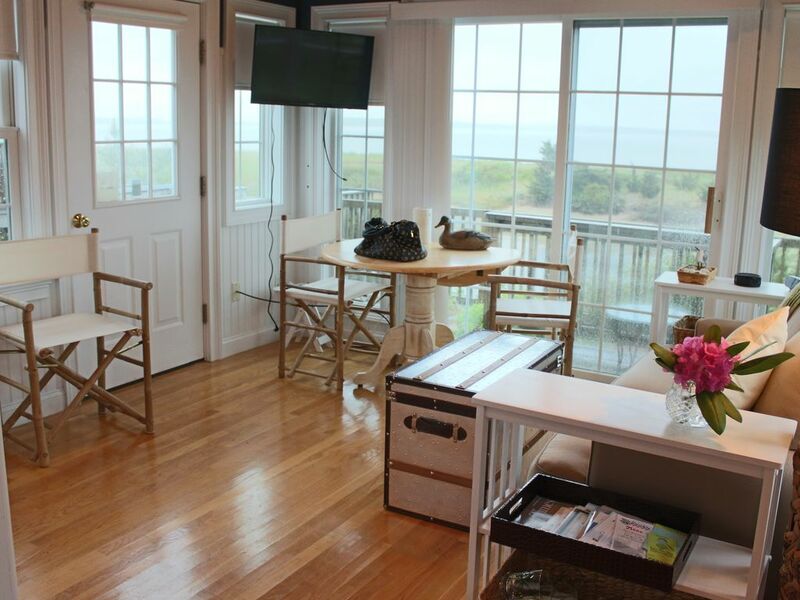 Come experience Old Cape Cod with modern amenities. The 270 Degree View of Lewis Bay! It's close to everything, but there is privacy. Nantucket Sound Lewis Bay Warmest Water on Cape Cod Best Place to Watch Fireworks and Party Without Driving !! !